Exploring the science, culture and curiosities of sleep. How, Exactly, Does Ambien Work? Ambien is a lot of things: A potent FDA-approved sedative, America's favorite prescription hypnotic, a REM-sleep suppressant, an agent of "paradoxical excitation" in a slim number of coma patients, a creativity-sparker, a reliable pathway to disinhibition, something no one should try for the first time on an airplane — and so much more. It is not, however, a particularly well-understood drug among the millions of people who throw it back to help them power down. Here's how Ambien works its particular breed of magic on the brain. Ambien is a prescription sedative approved for short-term treatment of insomnia. The drug, which has been available as a generic (zolpidem) since 2007, comes in quick-acting and extended-release versions. In its 23-year life, Ambien has shown to be effective for helping people fall asleep, but it doesn't have the same impact on sustaining sleep. It's also a drug against which users quickly build up resistance. The initially prescribed dose may do little to summon slumber within weeks, or even days, of consistent use. On a long-term basis, research depicts non-drug insomnia treatment, particularly Cognitive Behavioral Therapy (CBTi), as a better path to solid shuteye. Still, Ambien is the country's number-one prescription for rest, and it can be useful for people who have trouble transitioning between being awake and asleep. GABA-binding drugs basically bring on rest with a swift, broad K.O. Ambien is the most popular "Z-drug," a family of hypnotic sedatives that conjure sleep by activating GABA receptors on the surface of neurons. GABA, one of the oldest-known neurotransmitters, is an inhibitory brain chemical. Meaning? It's a neural downer. By binding to GABA receptors, Ambien allows more of the calming chemical to flood brain synapses — and the brain is littered with GABA receptors. So, GABA-binding drugs basically bring on rest with a swift, broad K.O. to the brain. As explained in an earlier post, GABA-ing oneself to sleep is a bit like attacking a ground-floor pest problem by fumigating the whole house. What's the difference between Ambien and Xanax or Valium? Ambien (and other members of its Z-drug squad) isn't the only type of sleeping pill that gets after GABA. 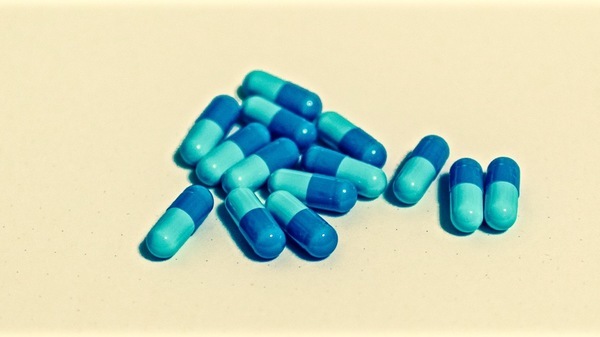 Benzos, such as Xanax and Valium, also activate GABA. But, Ambien is a more targeted drug, meaning that it binds to certain GABA receptors, whereas Benzos are less picky. They'll cling to a wider variety of GABA receptors like someone desperate for an adult sleepover at last call. And being choosy matters in terms of a drug's impact. Ambien's selectivity makes it good at the specific task of initiating sleep (not sustaining it). But, in taking whatever GABA receptors they can get, Benzos have a more general, less shuteye-specific anti-anxiety effect. Though Xanax wasn't designed to treat insomnia, it's a popular sleeping pill because anxiety is such a common and prominent part of the no-sleep equation. Anyone who doesn't hit the sack post-haste after popping an Ambien would be wise to review their outbox in the a.m. But, Ambien's affinity for specific GABA receptors also contributes to such fun side-effects as temporary amnesia, hallucinations, bizarre food cravings and, shall we say, overly gregarious behavior. Ambien takes effect within about 15 to 20 minutes, and the window between blissful drowsiness and uncomfortably vivid emails is short. Anyone who doesn't hit the sack post-haste after popping an Ambien would be wise to review their outbox in the a.m. They should also leave enough time between taking Ambien and waking up to ensure the drug is out of their system. (Six to 8 hours, for quick-acting and controlled-release, respectively.) Why? Just check out the number of accidents and lawsuits involving the unsuspecting Ambien user who stays up too long (or gets up too early) and wanders into the world, loopy and licensed to wreak havoc. Can Ambien Actually Be Used to Wake People Up? Ambien was formulated as a sedative and is primarily used to turn down the brain at night. But, in specific cases, Ambien has the opposite effect. Since 1999, doctors have seen a number of minimally conscious coma patients exhibit increased brain activity after taking Ambien. Research (on mice) also suggests Ambien could hasten stroke recovery. Is Insomnia Really an Epidemic? Sign up to get the Van Winkle's newsletter every Tuesday. Thanks! You’ve signed up successfully. No thanks, I’m just too tired.